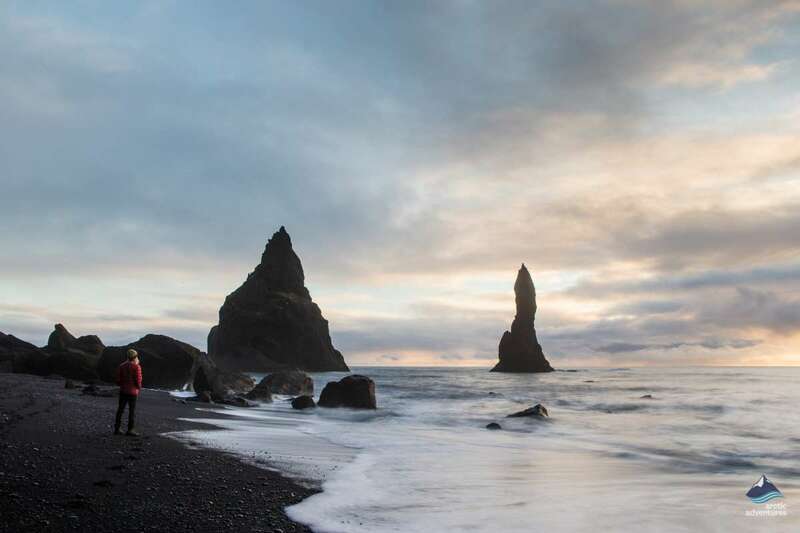 We take off from Reykjavík on a dark winter morning and drive towards the slowly rising sun. 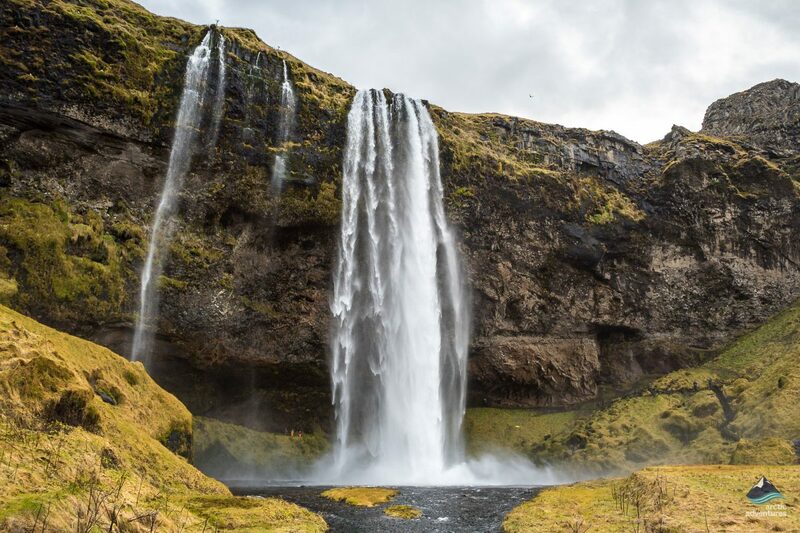 Our first stop is at Seljalandsfoss waterfall located at the feet of the famous Eyjafjallajokull volcano. 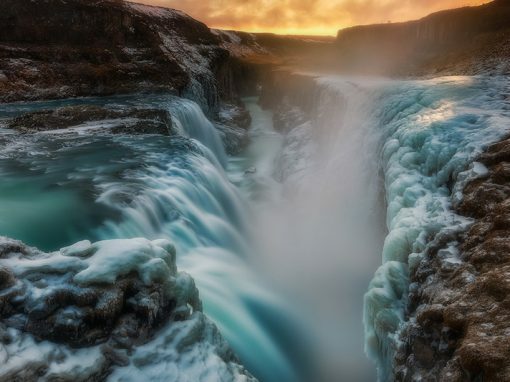 Here you will have the chance to explore this beautiful waterfall from both sides, as this in the fall that you are able to walk behind. 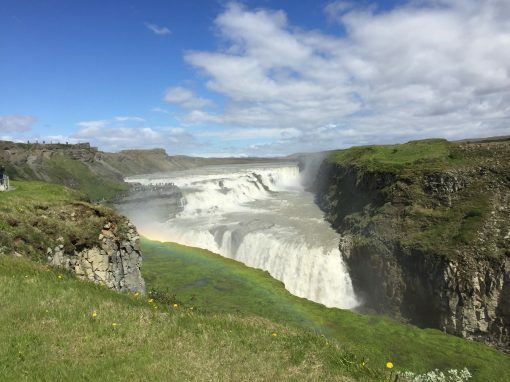 A little further to the east we come to our next highlight; Skógafoss waterfall. 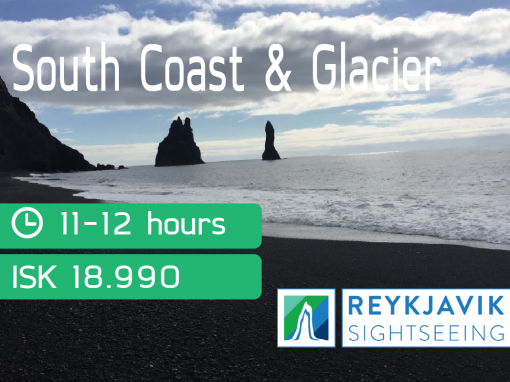 On a clear day, you will have the opportunity to see the two surrounding glaciers, Eyjafjallajökull and Myrdalsjokull. 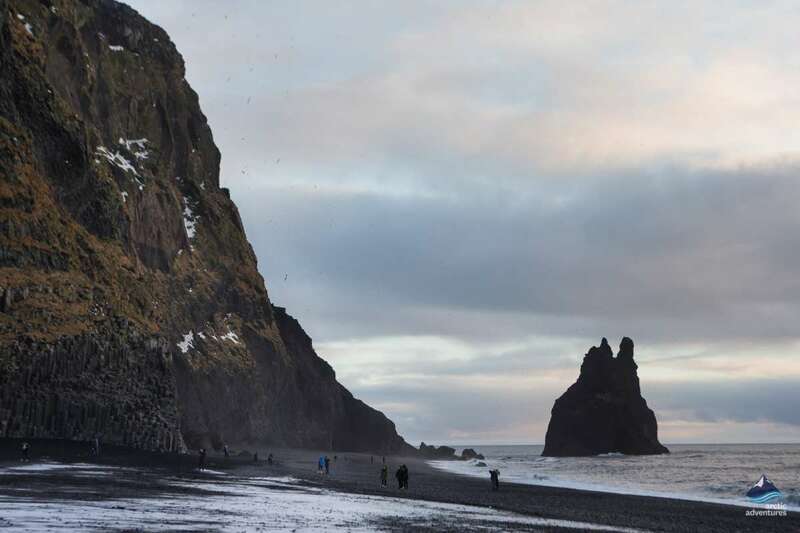 As we continue on, we come to Reynisfjara black sand beach where some fantastic sights such as the picturesque basalt column formations and the famous Reynisdrangar peaks greet us. We will drive through the charming small villages of Vik and Kirkjubæjarklaustur on our way to our accommodation place. 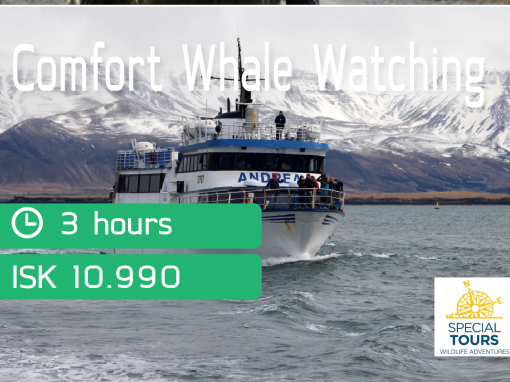 Throughout the entire day, you can expect to see breathtaking landscape consisting of vast lava fields, waterfalls, black sands and glacier tongues. We will enjoy a relaxing evening and recharge for the upcoming day. 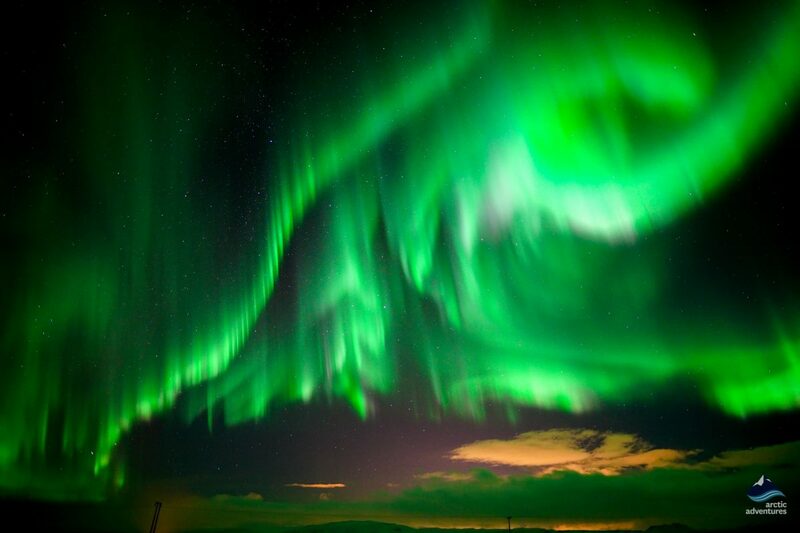 When the conditions are right, we will hunt for the Northern Lights. 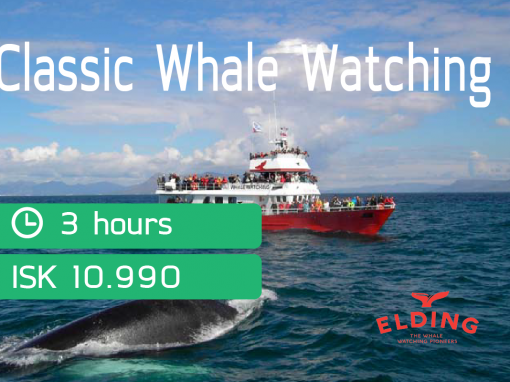 The countryside, away from the city lights, is perfect for spotting this natural phenomenon. This day is devoted to the glacier. 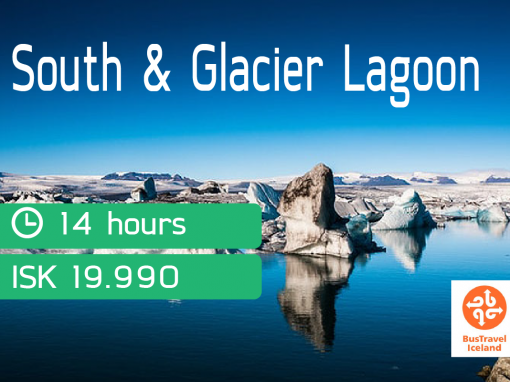 We start the day at the renown Jökulsárlón glacier lagoon home of the massive floating icebergs and the location for several blockbuster movies like Batman Begins and The Secret Life of Walter Mitty to name a few. 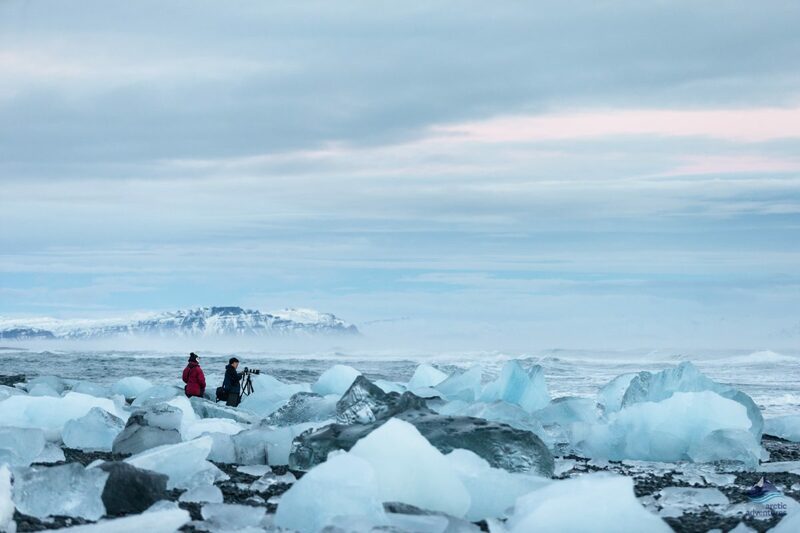 From the lagoon, we go to the Crystal Ice Cave where our certified guides will assure a safe and exciting experience. Ice caves, like the crystal cave, are only found during the wintertime when the glacial rivers retract and the water freezes. New caves are formed in different locations each year. 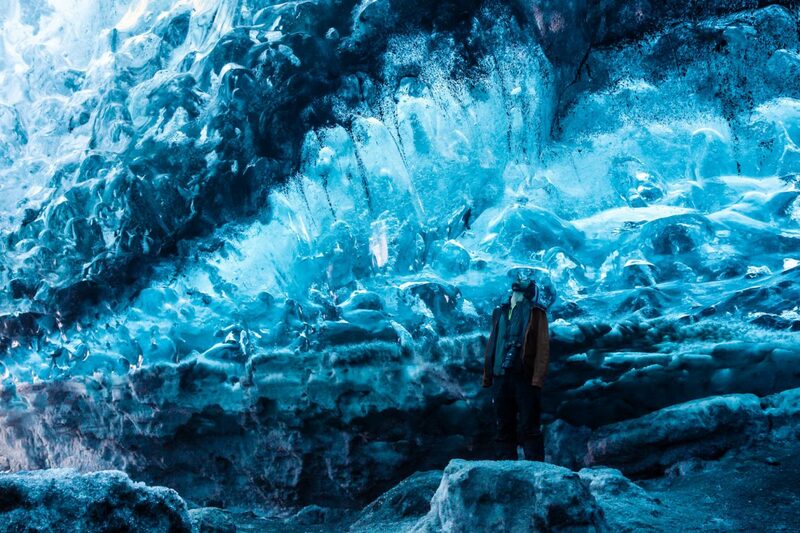 Ice Caves give you an unparalleled photographic opportunity where you can capture the blue light passing through the glacier ice. 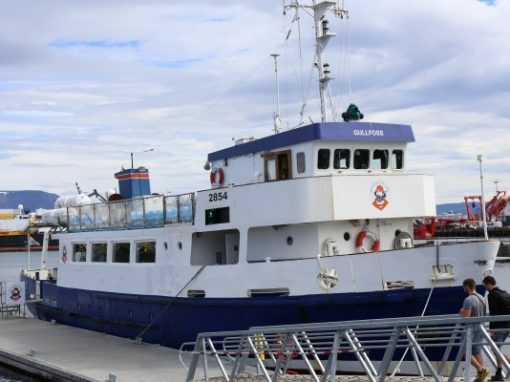 After visiting the Ice Cave, we start making our way back to Reykjavik. 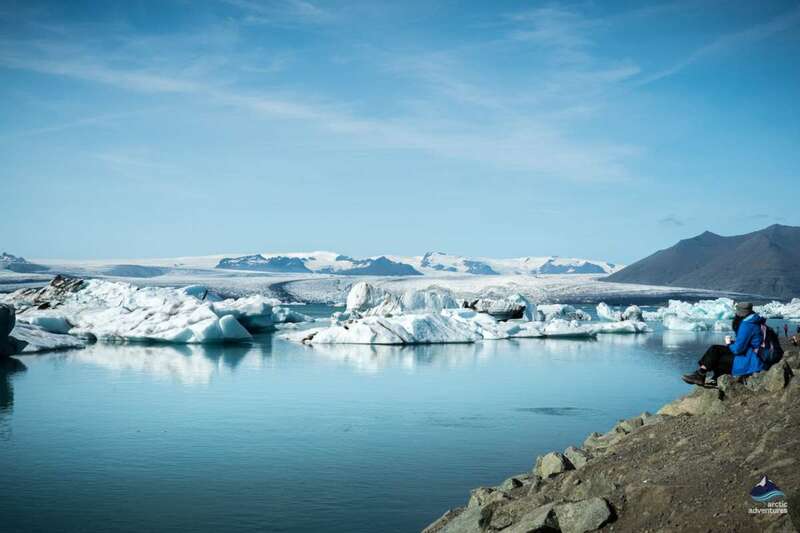 Before we leave this magnificent area behind we will stop at Skaftafell Nature Reserve, a part of Vatnajokull National Park. 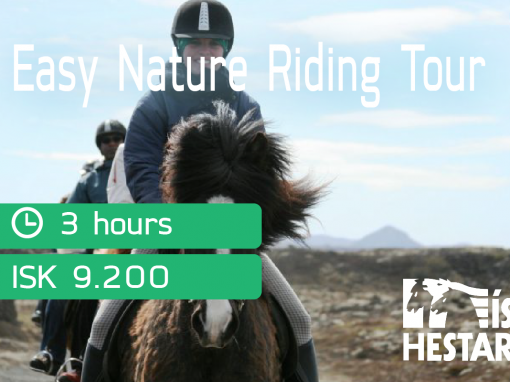 Surrounded by amazing jagged mountains and glacier-topped peaks, the scenery consists of indistinguishable features making it a definite highlight of the tour. 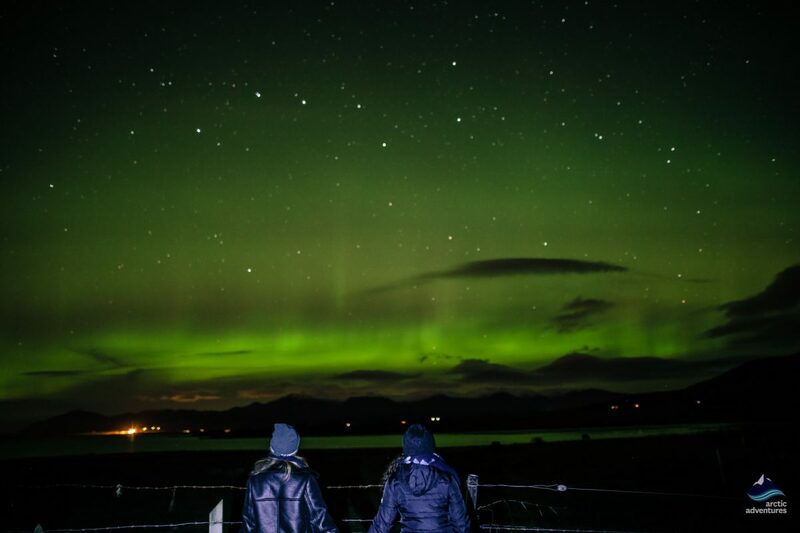 On the drive back, after the night falls, we will make sure to look for the Northern Lights. 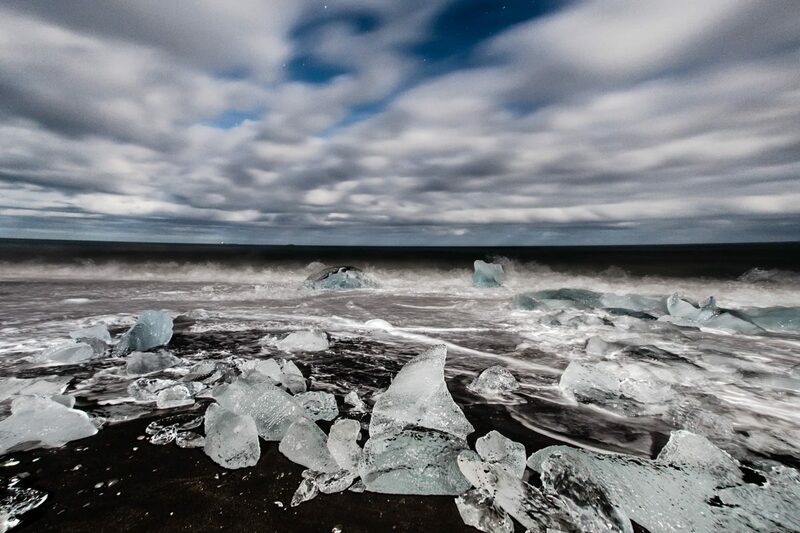 If the ice cave cannot be entered due to conditions we refund 10.000 ISK. 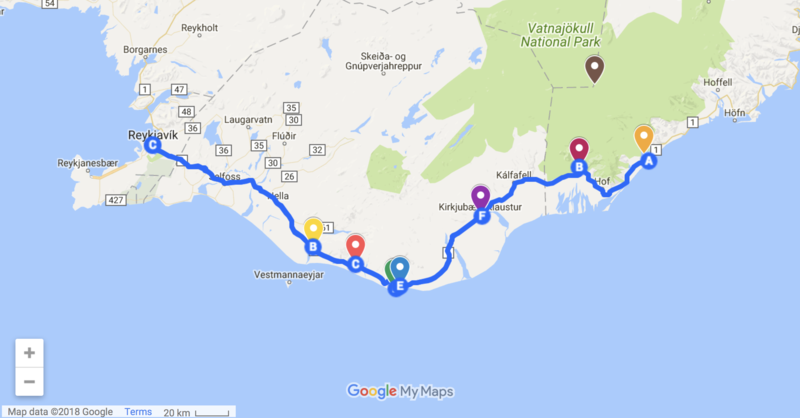 Pick up time: 8:00-8:45 and drop off 21:00 to 24:00 the following day. 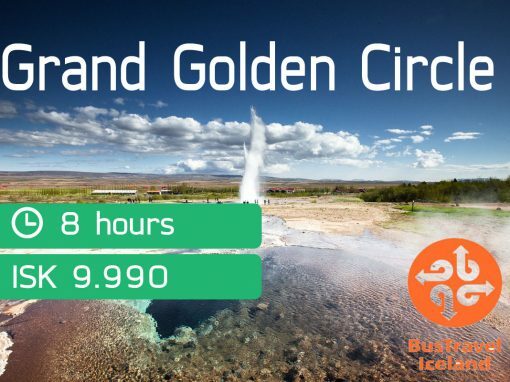 Included: Pick-up from your hotel in Reykjavík, a guided tour in a minibus, a visit to Seljalandsfoss, Skogafoss, Reynisfjara, Skaftafell, Jokulsarlon Ice Glacier Lagoon, Crystal Ice Cave, a certified glacier guide. Hotel room with bathroom, and breakfast. Please note that if you do not choose the single supplement you will be paired in a twin room with another participant of the same gender. Please note that food is NOT included on this tour, except breakfast on day two. 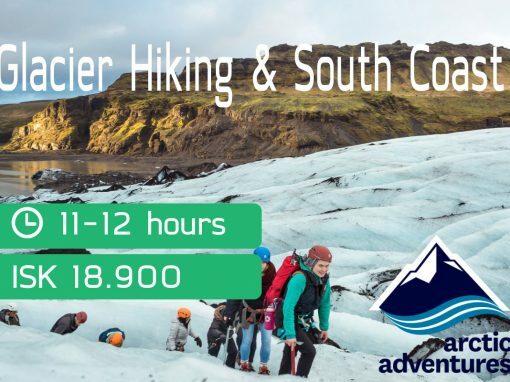 Remember to bring: Warm outdoor clothing, a waterproof jacket and pants, headwear and gloves. Good hiking shoes are recommended. 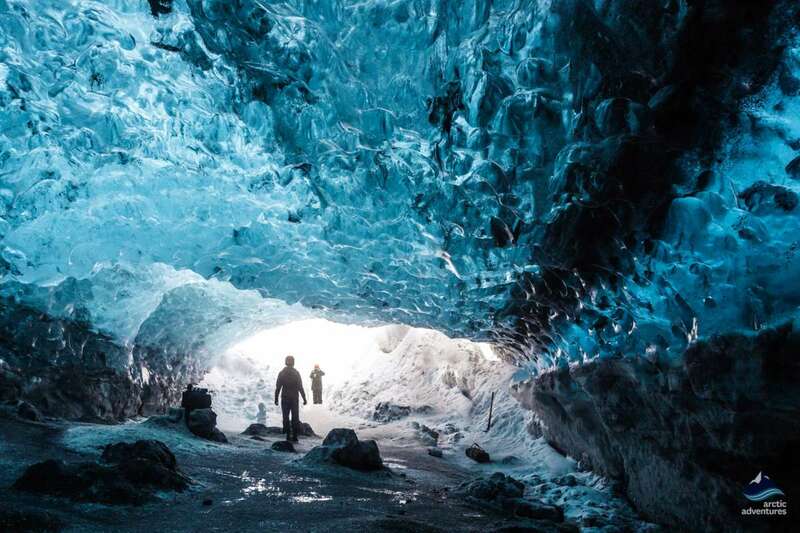 Minimum age: 10 years, because of age restrictions in Ice Caves. 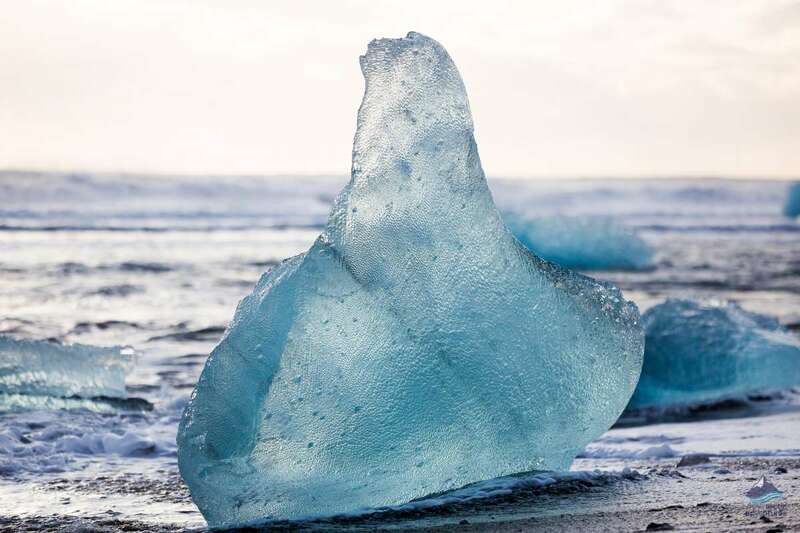 Please note that ice caves are an ever-changing natural phenomenon and, therefore, unpredictable. We will visit one ice cave during the tour and the choice of a cave is based on conditions and safety. Please note that if you do not choose the single supplement you will be paired in a twin room with another participant of the same gender.